Petit Bateau is, first and foremost, a mischievous and happy universe, which speaks to all generations, from 0 to 924 months. The iconic brand for underpants and tee-shirts has become the reference for a multi-generational style for babies, kids, men and women everywhere in the world. But at Petit Bateau, quality is no joking matter. Tee shirts do not turn, buttons on bodysuits for babies don’t crack and the cotton always remains soft, etc. Petit Bateau is a brand with clothes half made of cotton half made of love since 1893. 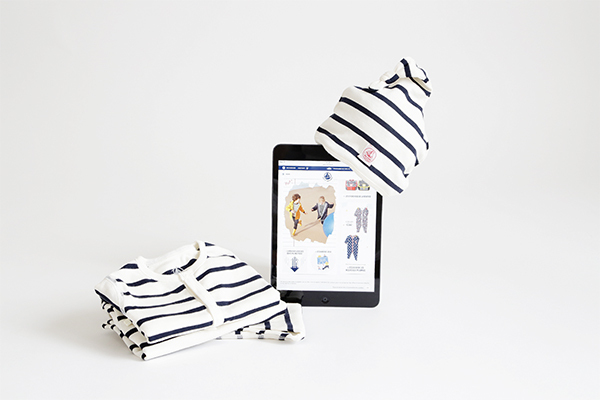 PETIT BATEAU advises its visitors in real-time with the help of brand advocates and enables 22% of customers supported to finalise their order. For its online store, PETIT BATEAU has assembled a team of 3 agents who handle all its customer contacts: messages coming from the online contact form, phone calls or chat conversations. The brand’s objective is to become increasingly more responsive to answer its customers and support them in real-time to finalise their orders on the website. “We used to receive many queries related to problems encountered in the check-out funnel. But we couldn’t be responsive. And often responding to these messages two days later made no sense“, explains Line Lécuyer, Responsible for the customer service department. The live chat solution seemed like the solution most adapted to suit our needs and soon became PETIT BATEAU’s number one touchpoint. In order to put the voice of its customers at the heart of its strategy, PETIT BATEAU wanted to mobilise a community of experts, fans of the brand, and offer them the possibility to advise other customers by chat. The idea was also to increase the number of contacts handled, extend the availability of the consumer department and, as Clara Skoglund, Senior Online Marketing Manager, points out “offer a unique and personalised online personal shopping experience, so a more relevant experience for our visitors: we are never as impactful to convince them as the opinion of other customers“. Petit Bateau’s agents and experts complement one another to advise customers and visitors on the petit-bateau.fr website. Thanks to the routing engine, the agents are utilised on questions from the check-out funnel and act directly on basket abandonment or more sensitive topics like problems on the FAQ page “we support customers and, with the mirroring or cobrowsing features, we identify the problem straight away: a customer that isn’t logged in, an error in coding, a problem on the profile, an information that is missing on the shipping method, etc.” explains Line. The community, composed of 10 active experts, guides customers on the website, provides them information on the products but can also answer to order intake problems. Very active, they are logged in to the tool whenever they want! 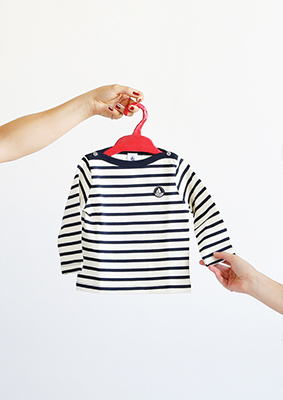 It enables Petit Bateau to handle twice as much chat conversations. More than one visitor in five (22,4%) finalizes their order after a conversation with an agent of an expert from Petit Bateau. Customers are not left without assistance on the website, we can easily help them and the conversation is closed when they quickly obtain the answer they needed: there are no pending cases open. Messaging has become crucial, especially for our important offers like the sales or special offers. The team communicates with brand advocates on the Livefeed and Morgane Babot-Boivin, in charge of the subject at Petit Bateau, continuously follows up and answers their questions. “They really appreciate how we deploy a gamification strategy and present surprises: beach kit, family Smartbox, Petit Bateau’s products, online discounts, bouquets of Bergamot flowers for Mother’s Day, etc. We also ask them to come to workshops at Petit Bateau’s headquarters or the Rocher Group’s headquarters so we can collect their feedback and comments as brand advocates and loyal customers but, most importantly, put the customer’s voice at the heart of our strategy“, explains Line. Today, the iAdvize process is innovating at company level. The digital communication team intervenes on brand nurturing and Clara Skoglund from the webmarketing team coordinates the reward system and uses brand advocates for specific events: collecting their feedback, presenting them new collections in advance, having them visit the Saint Joseph de Troyes factory, etc. “It’s great to invest in them, ask them for advice, and be able to count on them to implement change. We now know how to learn lessons from their purchasing experience and that’s only the beginning! 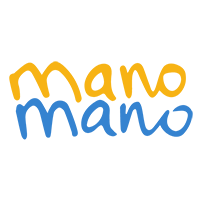 We are going to launch a test on our Benelux website in the coming weeks to launch the solution on an international level“. Do you want to know more about iAdvize’s potential on your website? 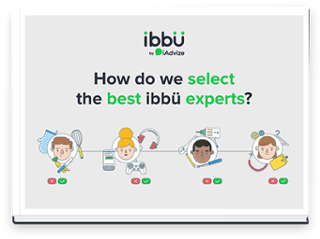 [Must-read guide] How do we select the best ibbü experts?